In May this year the consortium of Tauw, Witteveen & Bos, the International HCH & Pesticides Association, Milieukontakt and Green Cross – Switzerland was selected by the World Bank to implement the project: Obsolete Pesticides Technical Study in the Kyrgyz Republic, the Republic of Tajikistan, and the Republic of Uzbekistan. The project is financed by the Canada Persistent Organic Pollutants Fund, through the World Bank. Local representatives from Milieukontakt in Kyrgyzstan and Tajikistan and from Green Cross in Uzbekistan coordinate the project from Bishkek, Dushanbe and Tashkent. In order to make good start with the project and gather all data the consortium organized an inception mission to all three countries. The first report available is the inception report for Tajikistan. 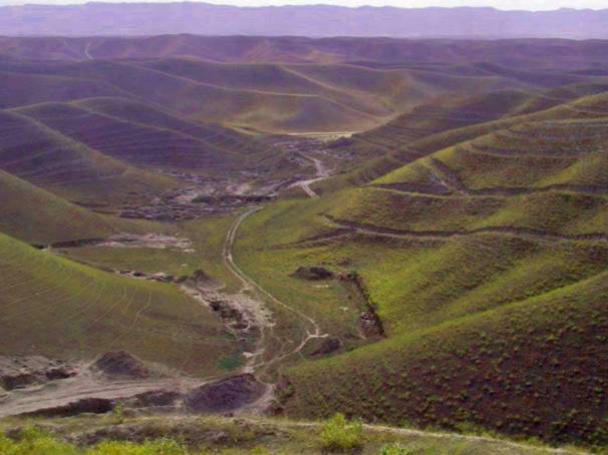 According to the Tajik governement a lot of obsolete pesticides were already moved to one of Tajikistan’s chemical dumpsites, the Vakhsh dumpsite. This state of affairs was confirmed during the inception mission. The soil of the the storages, however, is seriously contaminated at many places and soil remediation measures will be needed to reduce the risk for public health and the environment. The Vakhsh burial site is located 120 kilometer south to Dushanbe and 40 kilometer north to the border of Afghanistan. The fence to keep out people and cattle has disappeared. Locals dig-up obsolete pesticides to sell them on the market and cows drink water from pits at the site. Thus contaminations directly enter our food chain. Rainwater runoff from the burial site causes a mayor risk to the environment and public health. In the report options for the rehabilitation of the burial site are outlined. The remediation options for both the burial site and the obsolete pesticide stores will be selected and designed in further detail in close cooperation with Tajik stakeholders.